Chalets in France, ski holiday rental accommodation in French Alps chalets, luxury apartments to let and apartments with pools for skiing holidays in the top resorts. See our fantastic selection of luxury self-catering chalets and luxury apartments, which are superbly located close to facilities and ski lifts. Rent a chalet or an apartment in the French Alps and enjoy fabulous winter ski holidays on vast skiing areas with high glacial pistes and a wide range of slopes suitable for all grades. There is something for everyone from downhill to snowboarding, cross country to off piste and even for those not active on the snow, there is plenty to enjoy. The summer months offer wonderful walking, beautiful alpine flowers and meadows and a wide range of activities including golf, mountain biking and rafting. Rich in local tradition the region is known for excellent local produce including Thom cheese, tartiflette and crisp Savoie wines. There are plenty of fantastic French ski resorts events from FIS competitions to Polo in the snow in Val D'Isere and Courchevel. 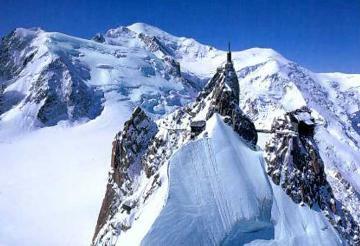 We have 230 French Alps chalets & apartments. There are lots of direct international flights to the French airports of Grenoble (GNB), Lyon (LYS) and Chambery (CMF) and in Switzerland, Geneva (GVA) all of which serve the Rhone Alps resorts (see each ski resort details for best options). Low-cost flight operators Easyjet, Jet2, Snowjet, Flybe and Ryanair offer regular flights through the winter. 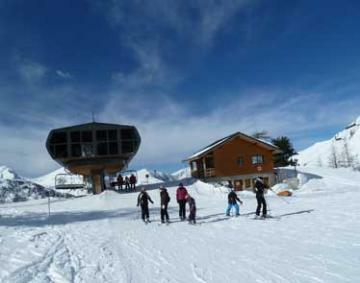 We can help organise airport transfers to the Rhone Alps ski resorts. Do book airport parking in advance for considerable savings. Self-drive ski is a good choice for families and the motorway (tolls) network allows good access (don't forget snow chains may be required in resort). The snow train is an increasingly popular option. The French Alps weather is unusual as it can vary sharply within a few miles, indeed there are said to be as many as twenty-four micro climates in the region. The Haute Savoir tends to have good weather in the peak summer months and lots of snow in the winter with the rest of the year subject to interspersed rain (which can be heavy) and sunshine. The alpine accommodation tends to be more chalet style, either individual chalets or apartments within a larger chalet style property. Few have private pools, however, some have hot tubs and in most resorts, there are swimming facilities available. We have selected properties which are well appointed for summer and winter holidays. Self-catering accommodation in the Alps tends to be very cosy with lots of wood incorporated into the interiors. In many of our chalets catering is available as an added extra so there is considerable flexibility on offer. Ski storage and drying facilities for clothes also help you enjoy your alpine holiday experience whatever the weather. Christmas ski holidays and New Year ski holidays are magical as not only do you have the pleasure being able to step out onto your terrace overlooking snow covered mountains and raise a glass of mulled wine you can spend a day on the slopes and enjoy a crackling log fire in your chalet or luxury apartment in the evening. It certainly beats being at home but you do need to book early for your next Christmas chalet or apartment ski holiday and even earlier for a New Year luxury ski chalet or luxury ski apartment. 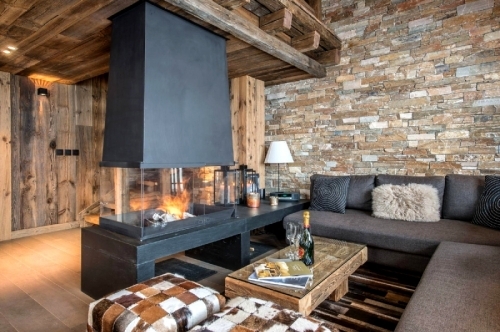 Our ski chalets and luxury ski apartments are in the top resorts including Chamonix, Les Houches, Courchevel, Meribel, La Plagne, Val d’Isère and Tignes along with a few smaller resorts such as Saint Martin de Belleville and Serre Chevalier.